I have another indie for you today. 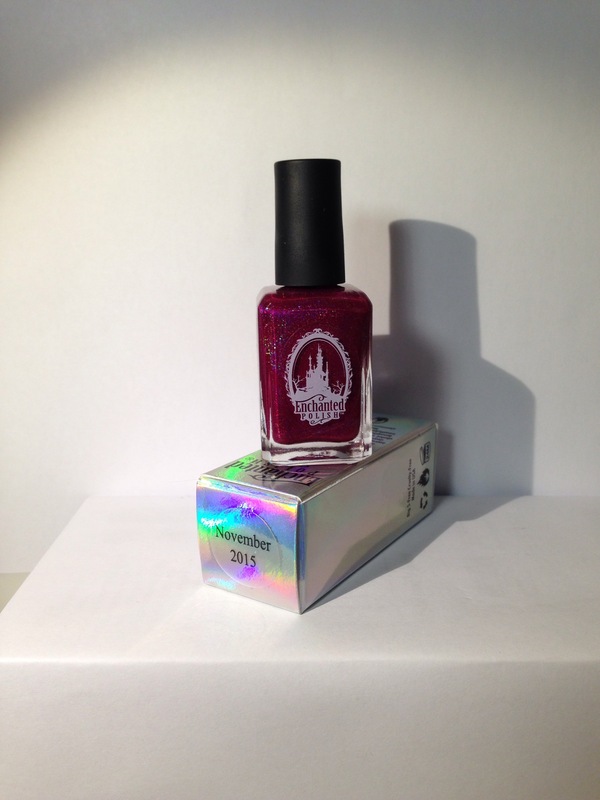 This time I’m talking about Enchanted Polish. This is a new indie brand for me and I’m turning into a fan. Enchanted is known for selling out within minutes of a restock so it’s best to watch the site almost daily and join their mailing list. I was lucky enough to time two recent purchases and score some beautiful and unique polishes for my collection. 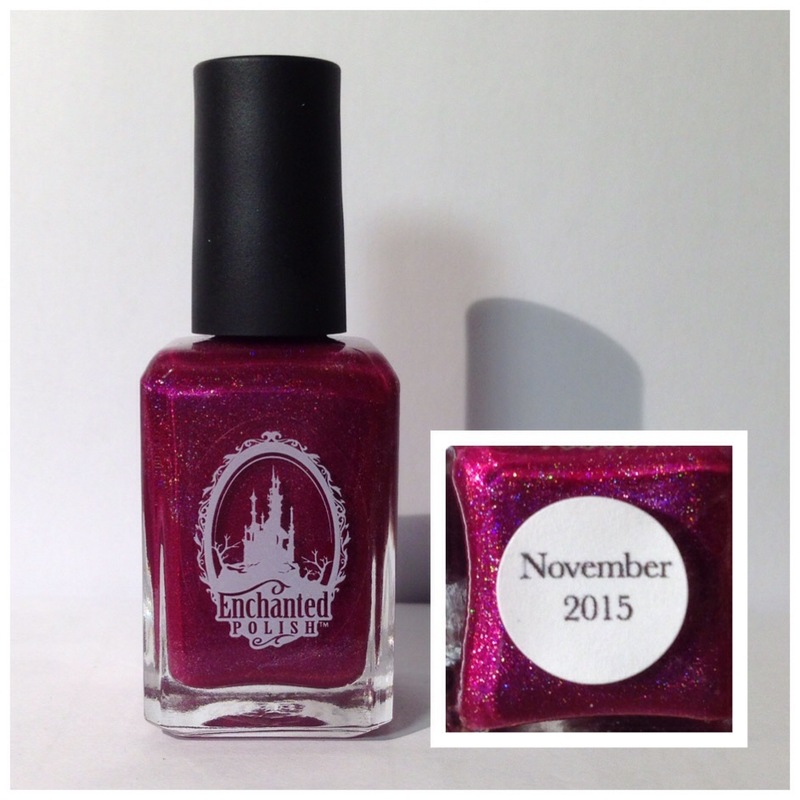 November 2015 is a polish from my most recent order. I was able to get my hands on September, October and Novembers mystery polishes. 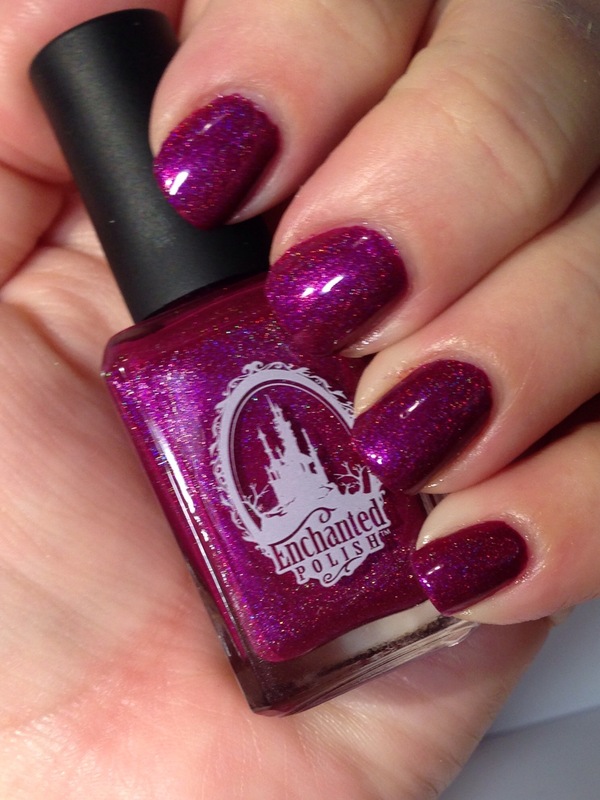 November is a purple tinged fuchsia holographic. Don’t let the name fool you into thinking it’s only a fall color either. I see this polish being a go to for all seasons. It’s opaque in two coats or one very think top coat and didn’t stain my nails. 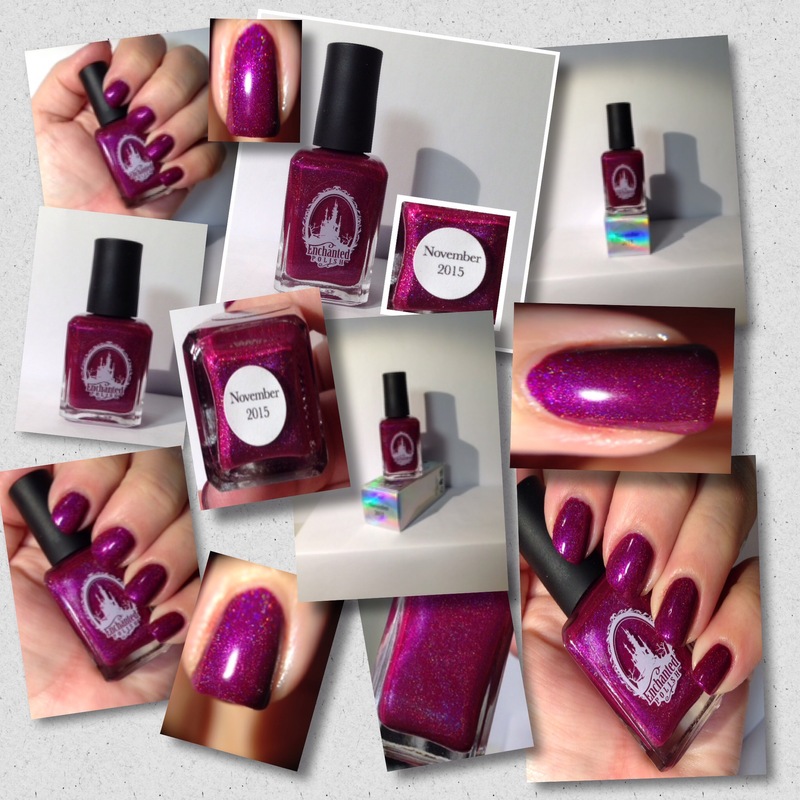 If you have the opportunity to buy this polish I would highly recommend picking it up. You won’t be disappointed. Thanks and I will see you next time.